Save yourself both money and time by reserving your airport parking at Dublin Airport (airport code DUB) before your next trip. There are nine parking lots to choose from, with a variety of options like Meet & Greet, transfers, and undercover parking. Dublin Airport lies about six miles north of Dublin city. 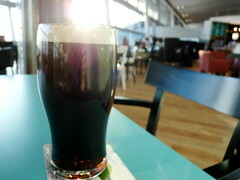 Airlines that service Dublin airport include Aer Lingus, Ryanair, CityJet and Thomson Airways. Dublin Airport is the busiest airport in Ireland, with over 18 million passengers. WiFi is available (for a fee). For traffic information, see AA Ireland here. Taxi: Taxis will drop passengers off on the forecourt outside Terminal 1 or 2. Bus/Shuttle: Several bus companies (over 700 buses) service the airport from around Ireland.